Celestyal Cruises has revealed its Greece and Turkey itineraries for 2016/17 which will see Celestyal Nefeli replace Celestyal Odyssey. The charter agreement for Celestyal Odyssey will conclude this October as per its agreed-upon terms. 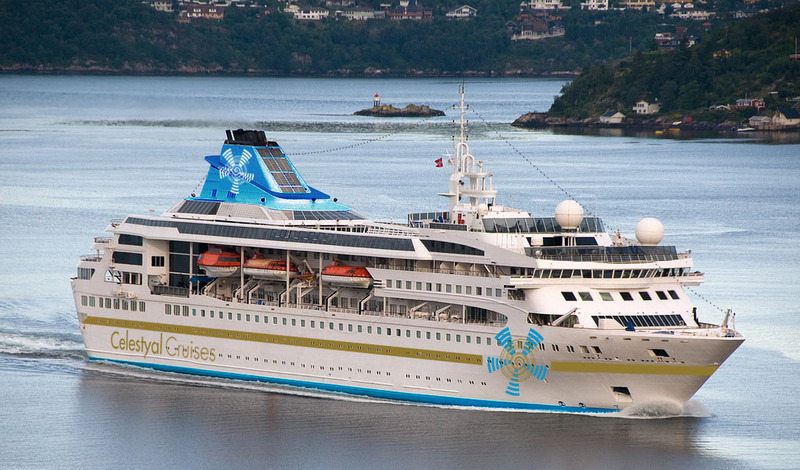 The 1,074-passenger Celestyal Nefeli will take its place in the fleet alongside Celestyal Crystal and Celestyal Olympia. The ship will undergo refurbishment before being delivered to the line in February 2016. The 19,093 gross ton Celestyal Nefeli was built in 1992 originally as Crown Jewel for the defunct Crown Cruise Line. In 1993 she was chartered to Cunard Line and became known as Cunard Crown Jewel. In 1995 she was sold to Star Cruises and renamed Superstar Gemini. In 2009 Jewel Owner Ltd took ownership leasing her to Spanish cruise operator, Vision Cruise, for one year where she was known as Vision Star. Later than year she was renamed MV Gemini until her charter agreement with Celestyal Cruises. The name, “Nefeli,” comes from Greek mythology – Nefeli was a goddess of hospitality and a nymph of the clouds. A three-day round-trip sailing from Kusadasi, Turkey, to Patmos, Santorini, Crete and Mykonos. Prices start from £215 per person cruise-only based on two sharing an inside cabin. A seven-day sailing including calls to Santorini, Mykonos, Milos, Samos, Syros, Istanbul and Kusadasi. Prices start from £597 per person cruise-only based on two sharing an inside cabin. Celestyal Cruises will also increase the number of themed events on its cruises in 2016, so as to provide passengers with the best of Greek culture, gastronomy, history and wine. These will include cookery demonstrations with local chefs, performances from leading Greek musicians and dancers, and talks from archaeologists. This year Celestyal Crystal is operating cruises to Cuba under the Cuba Cruise brand.